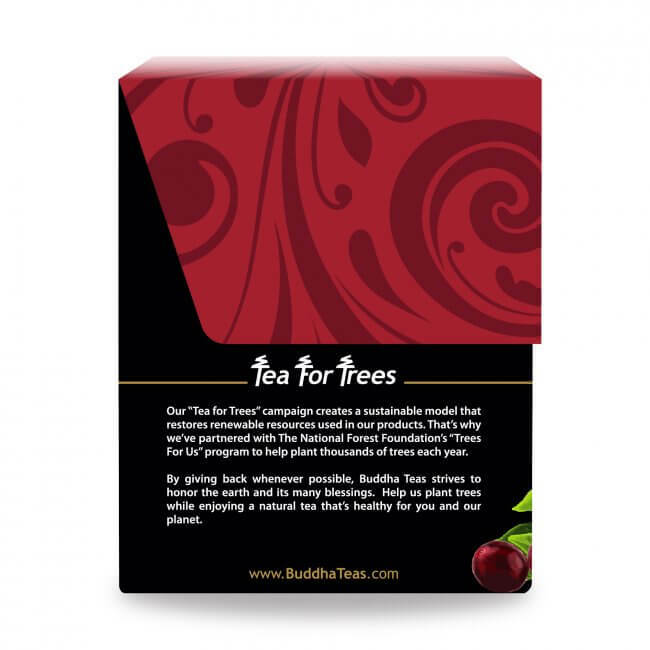 An invigorating blend of tart cranberries and fresh green tea leaves, this tea is perfect for any occasion. Cranberry & Green Tea is enjoyed hot or iced. Green tea is a treasure of the East, admired for its light, fresh taste and aroma. It has steadily earned a place as one of the most popular teas, and while green tea has been enjoyed alone, its notable flavor and versatility makes it ideal for crafting into a variety of different blends as well. We've brought two exceptional ingredients together in this tantalizing tea experience. Cranberries are a worldwide favorite, known for the tart & tangy flavor that makes them a wonderfully zesty addition to pastries and juices. Combined, these two ingredients find perfect harmony in this truly delightful tea blend. 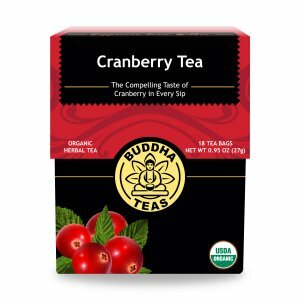 The tart, fruity taste of cranberry is pleasantly balanced by the mild sweet flavor of green tea, offering the best qualities of both in every invigorating sip. 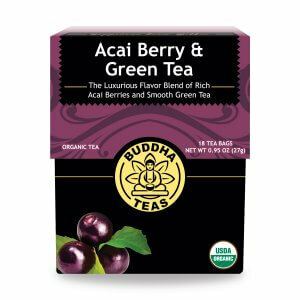 A fresh cup of cranberry green tea can be a delicious way to liven up your day, and it’s also a great way to liven up your diet. 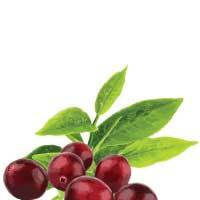 Both cranberry and green tea are known to offer a multitude of vitamins, minerals and antioxidants. Take a sip of green tea, and you will be enjoying a natural source of vitamin C, E, K, and five different B vitamins. You also receive a boost in minerals, including calcium, iron, manganese, sulfur and zinc. 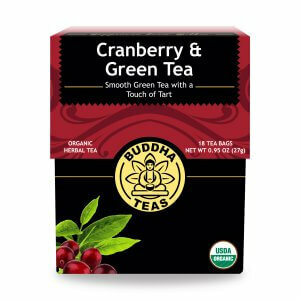 Both cranberry and green tea are known for their antioxidants. 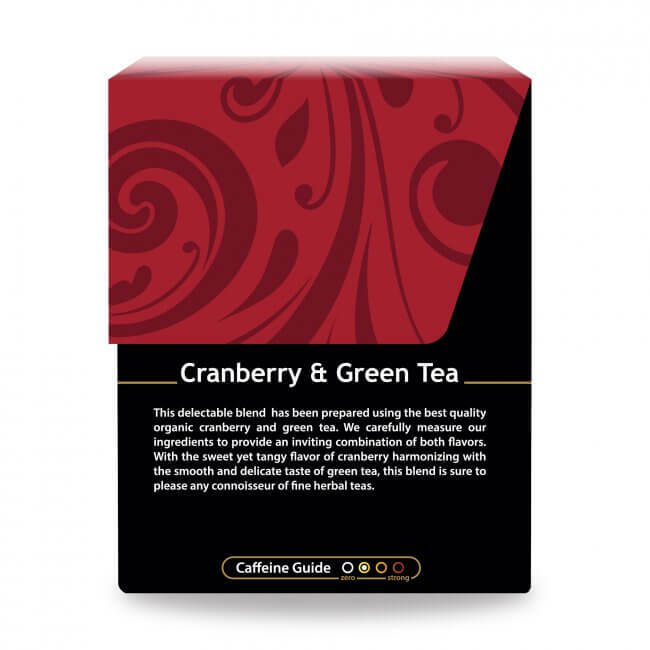 The combination of cranberry with green tea also gives this tea a refreshingly light dose of caffeine, eliminating the worry of jittery feelings or the dreaded caffeine crash. 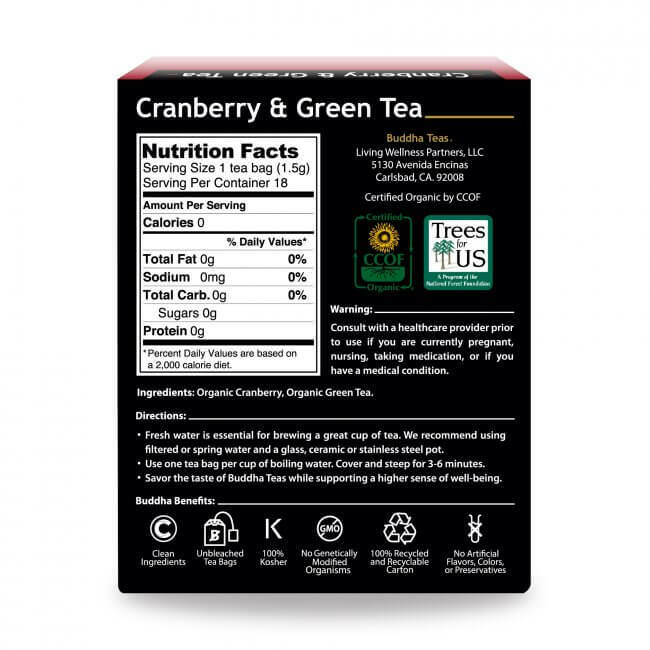 If you are looking for a mildly caffeinated blend with a unique flavor, our Cranberry & Green Tea is for you. 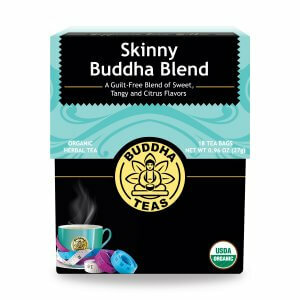 Buddha Teas is one of the few tea merchants that offers unadulterated organic and wild-harvested teas packaged in bleach-free tea bags. Planning to enjoy this tea on a regular basis? 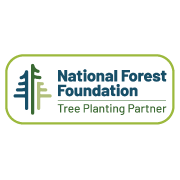 Take advantage of our special bulk pricing, which helps save you time and money. Review Title: Really, Really Good! Great taste, refreshing and you can almost feel the healing properties working in your body. Just feels like you are doing something really, really good for your body -- and it tastes good, too! Review Title: Tasty Cran & Green! Big fan of green tea and this blend of adding cranberry is perfect. It was a very good tasting tea. Also able to use same tea bag and make another cup. Quite a nice tea that is mild and fresh, both in aroma and flavor. This makes a very nice summertime iced tea, too. I steeped 4 tea bags in my 32oz glass measuring cup, then while keeping the bags in I refrigerated overnight. I then steeped 2 more bags in 16oz of hot water, allowed to cool, then filled an ice cube tray with it and froze overnight. Had a lovely iced tea the next day with my lunchtime salad. The cranberry green tea was delightful. This is one of my favorite blends! This tea was refreshing, crisp and very smooth tasting. The smell was pure and not overpowering. Definitely a keeper!